This month's theme is particularly exciting, as I am OBSESSED with plaid. Ways I have worn plaid in the past: lady like with tulle (second favorite outfit ever! ), with a midi-skirt, tied around the waist, tucked and belted, layered under another button down, with a floral skirt, as a skirt, knotted, under a fur vest, peeking out of a sweater, weekend casual paired with a utility vest… I'm starting to feel like the Bubba Gump of plaid. But seriously, this is one versatile pattern that needs to make its way into your closet. I have also been pinning plaid up a storm to inspire your Fall/Winter outfits, check out all the looks on my Fall Pinterest Board. And, shop all my favorite plaid pieces for under $100 below! 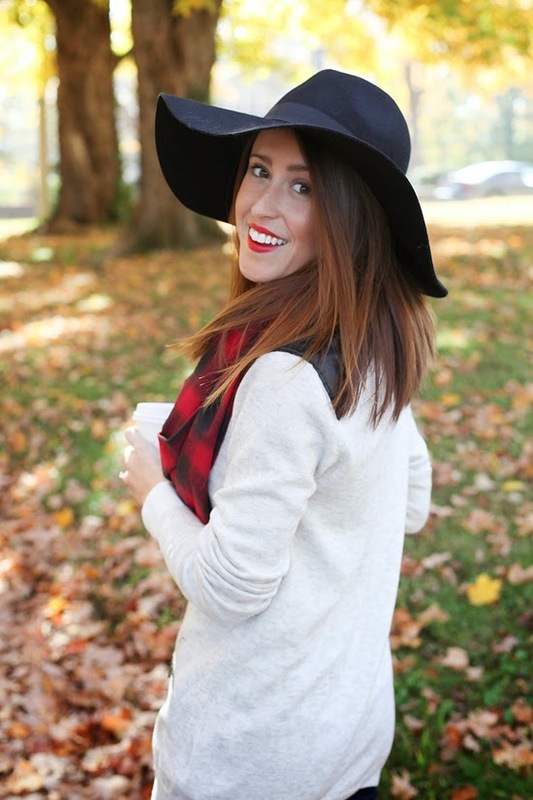 Perfect hat and cardigan! You look lovely! 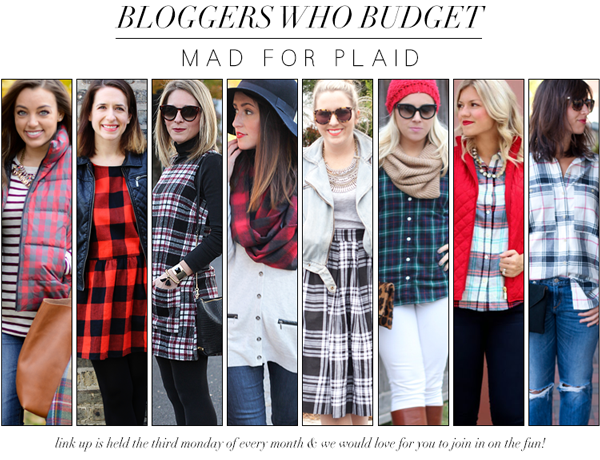 I just love all these looks- but then again, plaid is the best this time of year!! Your sweater is darling and that scarf? Did you say your sister made it? Awesome! lovely casual style!your hat is perfect! Lot the outfit. Sadly it's spring on my side of the world and too warm for plaid but you've defintately given me idea for next autumn (fall) and winter. Man, I'm totally obsessed with plaid right now, and that scarf you're wearing is beautiful! I just bought my first plaid blanket scarf, and it is the warmest, most stylish thing ever. Anyways, I am so obsessed with plaid right now. I LOVE blanketscarves, aren't they the best? I am in LA and so it's not get too cold yet and so blanket scarves are so easy to just throw on and walk out the door. Also, did you know they are so crazy easy to make yourself? A fraction of the price that you would pay a retail, I have a DIY BlanketScarf tutorial on my blog, you should totally check it out sometime! They are make awesome gifts! !